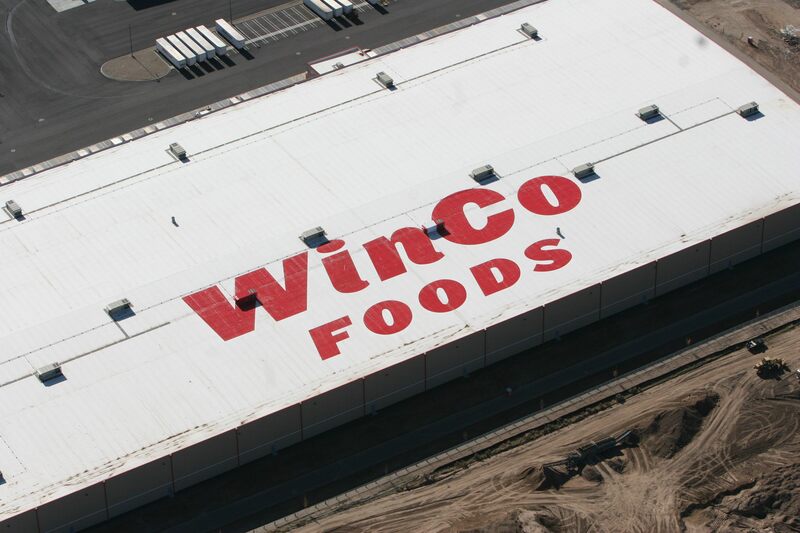 Turman Commercial Painters was called upon to paint a 27,000 square foot WinCo Foods sign on the roof of WinCo’s main distribution warehouse in Boise, ID. We used layers of elastomeric and acrylic coatings to waterproof this enormous sign. Next time you fly into Boise, take a look out the window and you’ll see Turman’s commitment to excellent craftsmanship in large red lettering.